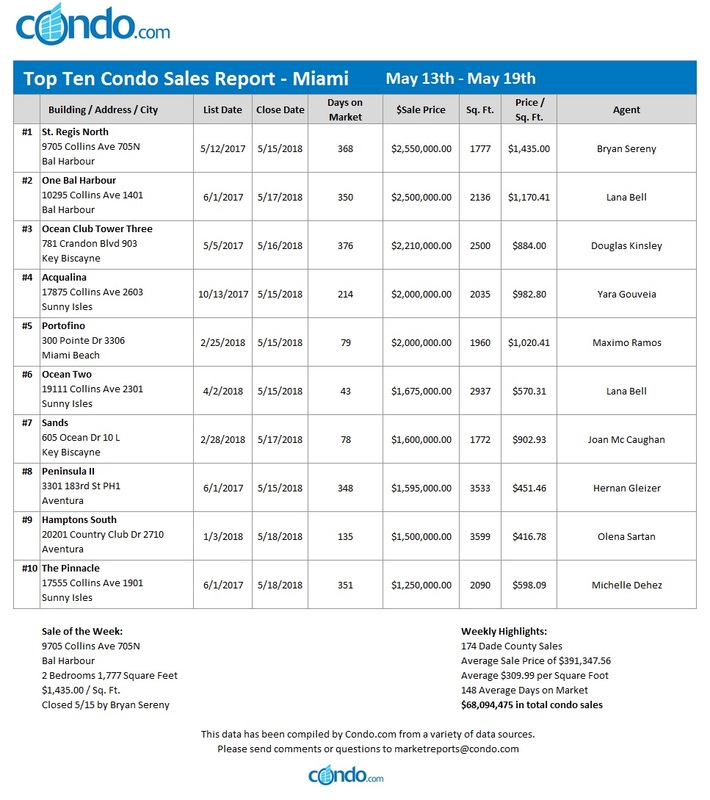 The Miami Dade condo had a stellar showing this past week. There were 174 sales for a total of $68,094,475. 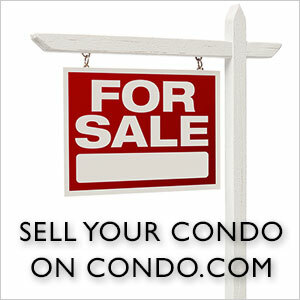 The average price for a condo was $391,347.56, or $309.99 per square foot. 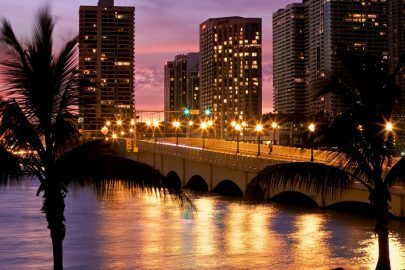 Miami was the top market with 67 closings for a total of $16.122 million. Aventura followed with a total sales volume of $11.747 million and reported 22 closings. 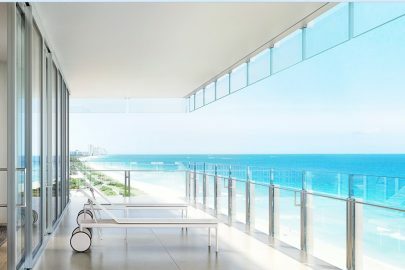 Miami Beach had 24 transactions for $8.784 million. The top condo sale of the week was a spacious two-bedroom unit at St. Regis North in Bal Harbour. This 1,777 square foot property at 9705 Collins Avenue sold for $2,550,000, or $1,435.00 per square foot. Bryan Sereny sold this condo after being on the market for 368 days. 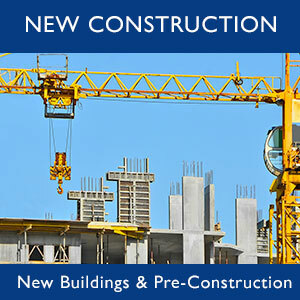 The outlook for the Miami Dade condo market continues to be upbeat!